Shanghai host the nHack Ocean Technology Center! Larger than the Nordic region combined, with 24 million people, Shanghai is not only the biggest commercial and financial center in Asia, but also host the world's busiest container port. nHack have launched the Sino-Nordic Ocean Tech Center in Shanghai under the leadership of Mr. Kjetil Lund, the grand young man of the maritime sector in China/Asia! Blueye Robotics was one of our first investments in the Ocean Tech sector. Beijing is the Silicon Valley of Asia where we play Games with unicorns! nHack was the first investor in already epic exergame company Playpulse, so building a game accelerator followed naturally for us. Having started with text/SMS games in the 00's, nHack now work on all sorts of mobile games, ExerGames or good ol' Casual Games for your wider audience. The "Jing" is the Capital of China with technical universities, global headquarters of Fortune 500 companies and more than 40 unicorns: Beijing is the Silicon Valley of Asia. Remember, nHack is sector neutral, so some portfolio companies may end up in Beijing or Shanghai for reason other than vertical focus! nHack Shenzhen is a unique "Maker Space" for hardware, you can make it! Our hardware accelerator is located in Shenzhen, the Silicon Valley of hardware. Shenzhen is located in Guangdong Province, just north of Hong Kong. Here you can prototype and produce in days, instead of months and quarters. It is a veritable Makers Dream Come True. Our very own Jon Eivind Stø is heading up our Shenzhen Accelerator. We have Moviemask and Wiralcam Technologies on the ground here with us. Come make something with us, learn from us and get stuff done! nHack Hangzhou is coming your way soon. We will distribute your socks off! 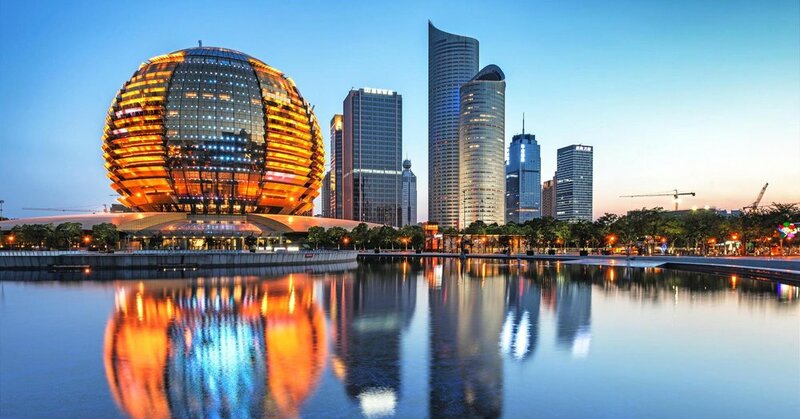 Together with the Hangzhou Government we plan up an accelerator in the hometown of Alibaba. Yes, we are also cooperating with Alibaba on the accelerator here in addition to many other local health and med tech specialists. Located about an hour train ride from Shanghai, this location shares a lot of resources with the nHack OCT center.